Nothing works up a powerful thirst like five days of hiking. Thankfully, Raleigh has a lot to offer to wet your whistle! The blessed land, the best land, the Old North State! I'm not sure if a the grand toast is what inspired a bursting brewery scene but it sure seems like it. North Carolina has 257 microbreweries making it 8th in the nation. While Asheville ranks 3rd in the country for craft breweries per capita, Raleigh is catching up! 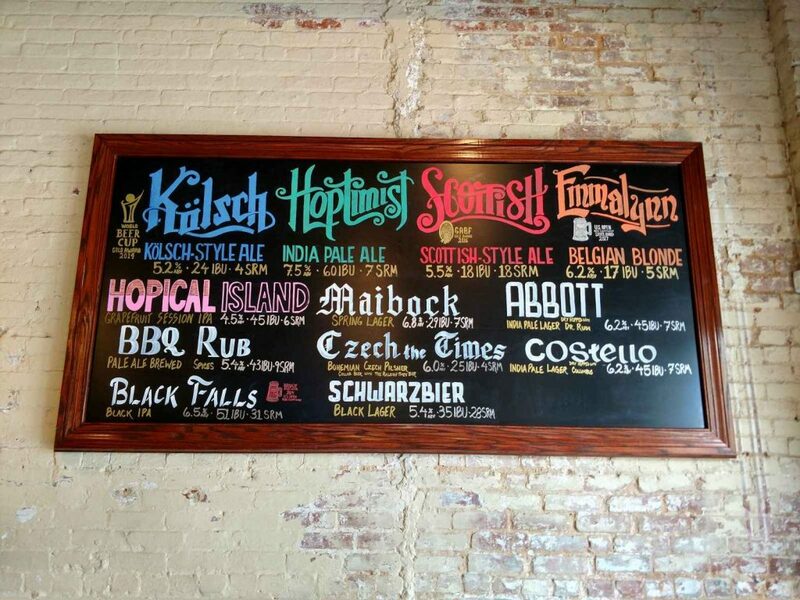 Lots of places are starting to carry taps by the dozen. I love Yardhouse (I really do) but I'm afraid the mantle of "Worlds Largest Selection of Craft Beers" goes to Raleigh Beer Garden. 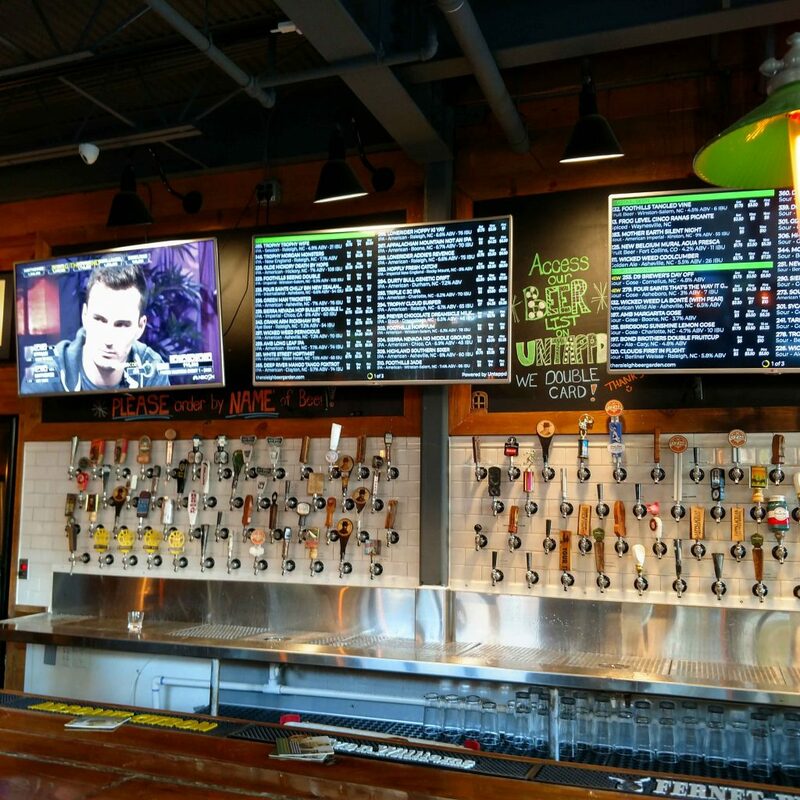 With a whopping 350+ beers regularly on tap, its a veritable world record. Their tap list is so long and variable that they direct you to their online list. The best part about Raleigh Beer Garden is that about half of their taps are from North Carolina Breweries, from Asheville to Wilmington represent here! I felt like I could drink though the entire state's brewery list here. I'm sure locals make that a goal! 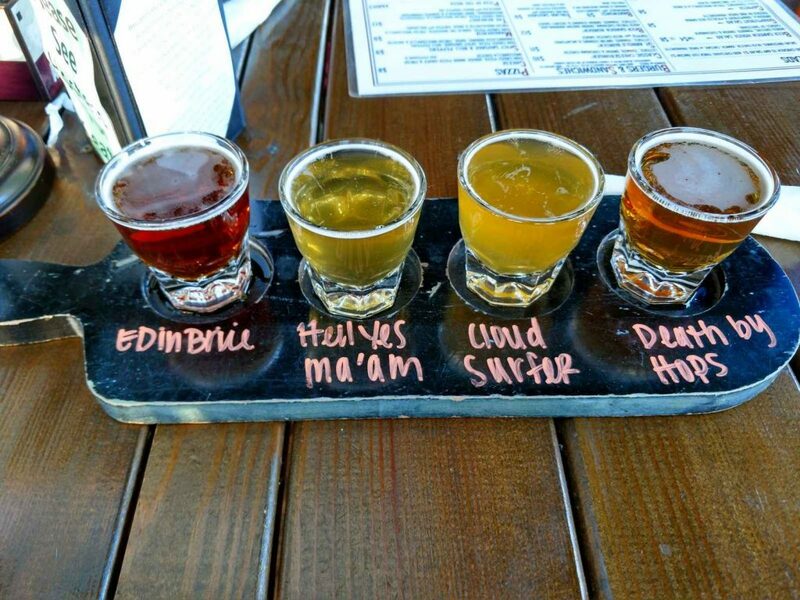 The best way to experience it all here is to order a flight. 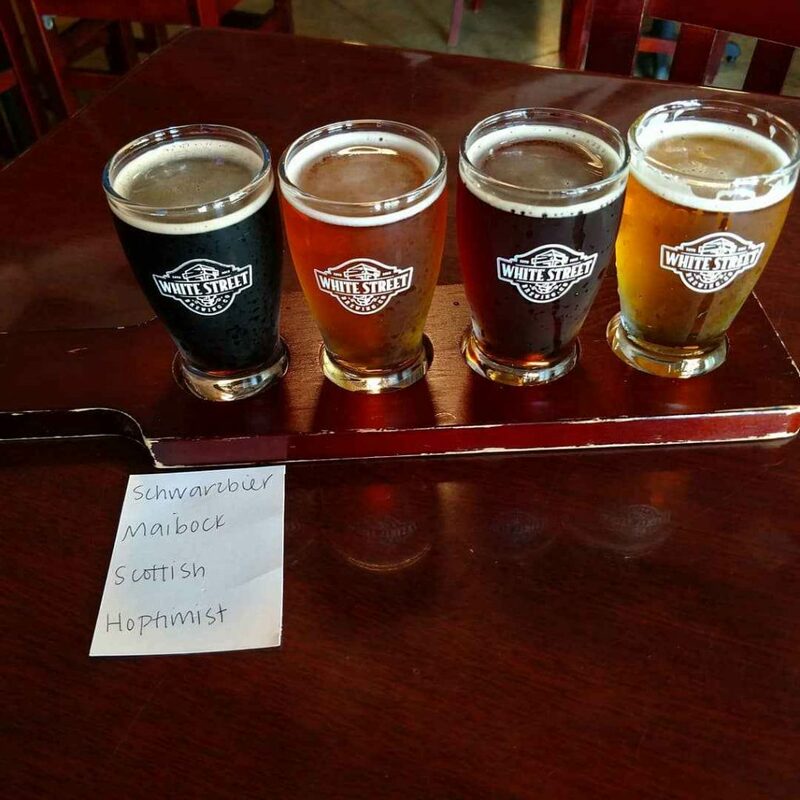 Though I wish I could try all 350 taps, I don't think I'd survive more than 2 flights- I like beer but I don't have that high of an alcohol tolerance! Death By Hops, Olde Hickory Brewery, NC: Hailing from the high mountains of Hickory, North Carolina, this beer lives up to its name. Its described as an "American IPA" or a double IPA. Here's the thing; it rates at 105 IBUs (probably the strongest I've had) but its surprisingly rounded. The nose and taste is of pine, a robust flavor which instantly had me wishing I was back climbing in the Appalachians. The finish lingers and percolates like a strong, unsweetened tea. My favorite! Edinbrüe, Brüeprint Brewing Company, NC: I've gravitated towards Scottish Ales as a palate-cleanser between hop-forward ales and suddenly I'm a fan of them in their own rite. This is one I'd love to pour on a crisp, fall day. The nose is of allspice and pumpkin while the taste is deliciously malty. Its an extremely approachable beer, especially for those just getting into Scottish Ales. Hell Yes Ma'am, Raleigh Brewing Company, NC: This is the college-town favorite brewery just down the road at NC State. You have to love it when a genuine microbrewery sets up shop near a famous college. Its better to learn about great beer and appreciate the craft than continuously guzzle whatever canned hop-water on sale. Anyways, this is a Belgian-Strong Pale Ale which was a cousin of everything I love. Somewhere between Pilsners and IPAs is where this one lies. Its fruit-forward and refreshing without being wimpy. Not surprisingly, it's their flagship pour. Cloud Surfer IPA, Trophy Brewing, NC: We could have walked to this downtown favorite brewery! This is a classic, dependable IPA that's also fruit forward but balanced by bitter hops. I could have sipped a pint of this while lingering with a lakeside view in the woods. Schwarzbier: Many West Coasters like myself are hesitant to ever pour a lager or pilsner but this nothing like the mass-produced stuff. German for "black-beer" this is the child of lager and porter. Its dark, complex and malty but not so bitter. In fact, its one of the more refreshing dark beers I've had. Typically I pour them as a desert- i.e. Black Butte Porter after a grill-out but I could have this one any time of day. I imagine its risky to brew something like this here; underappreciated by Americans but doesn't have the familiarity of other Euro-style beers. Quite memorable! Scottish Ale: I'm officially becoming a fan. Scottish ales will never replace my love for IPAs, Double IPAs or Porters but its such a refreshing change from what I'm used to that I'm sold. I'm not surprised theirs wone the Gold Award at the Great American Beer Festival in 2016. I felt the nose was a mix of caramel and clove while the taste was a malty caramel with light bitterness. Again, a great palate-cleanser for the hop bombs I'm used to. Hoptamist: I'm back in my comfort zone here! I was trying so many unique flavors to my pallate that I had to get something familiar. Even so, their IPA has some slight variations to what we drink out west. It was easy to taste the bitter citrus and hops but not quite the hop-punch that I'm used to drinking (lands somewhere between Stone and Lagunitas IPAs). I suppose I should admit that the post's featured image was when I tried Appalachian Mountain Brewery's Long Leaf IPA which definitely tasted like a West Coast Style Ale. Hopefully I'll visit AMB in Boone, NC sometime in the future. 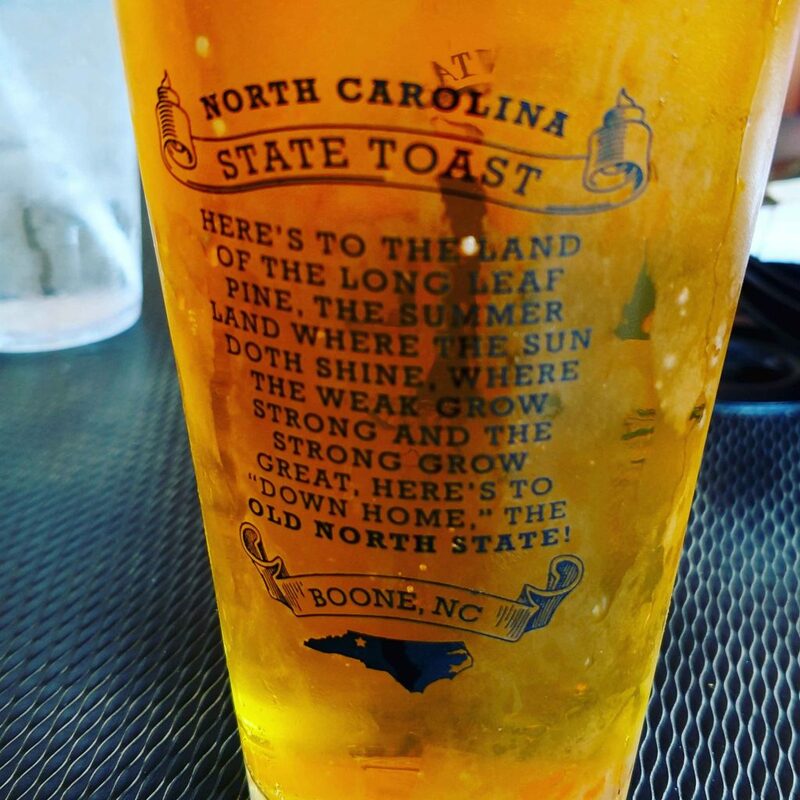 Until then, cheers and if you're drinking NC beer, raise a glass to the State Toast!